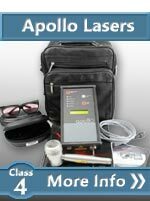 The patented ML830™ laser is manufactured by Microlight™ and they are very active at marketing their product on the web. 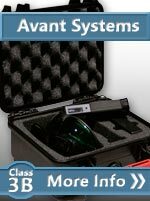 All the different websites that sell new system are same guy. 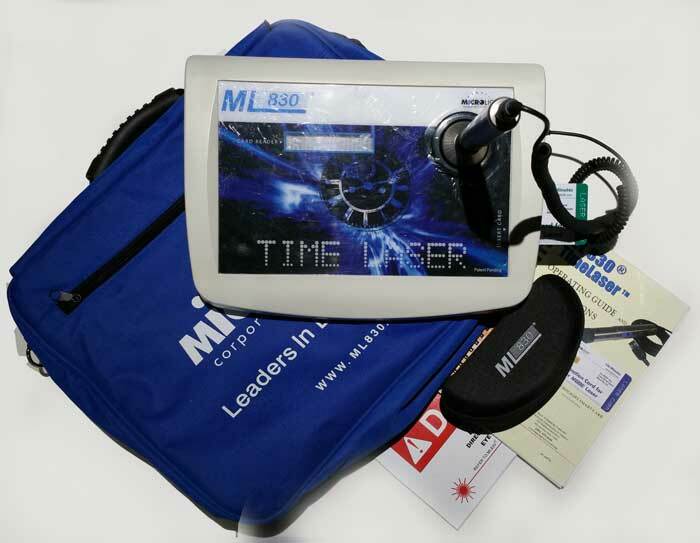 The ML830 was the first 3b laser with FDA clearance to market low-level laser therapy (LLLT) in 1990 for the non-surgical treatment of Carpal Tunnel Syndrome. The company also has FDA clearance on other LLLT devices for temporary relief of minor muscle and joint pain and stiffness, and arthritis. 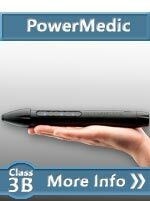 The product comes in 2 versions, an AC powered console and a direct powered handheld unit. The also have a newer system that was released in 2016. Although it looks like it could be battery operated, the handheld version requires AC power input. 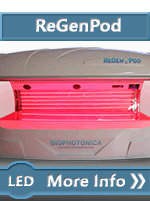 Because this system has 3 IR diodes centered around a Red target beam, this laser is designed for broad tissue treatment and not trigger point therapy. They sell an optional cone to focus the light down to a smaller area. 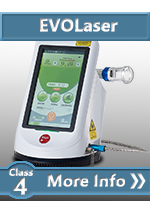 Cold laser like the ML830 can successfully treat a number of health conditions. 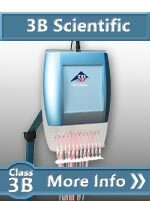 There is a growing body of knowledge based on successfully clinical studies that prove that cold lasers like the ML830 can be to accelerate healing and recovery times. The ML830 gets its name from the fact that the design is based on a wavelength of 830nm (GaAIAs).The emitter of the ML830 has a power level and coverage that allows for a penetration capacity of approximately 5cm covering an area of about 3cm. This is over double the tissue penetration of an a HeNe (632nm) laser. When this product was first release, it was cutting edge. Unfortunately the design has remained static for a long time. The 3 individual laser beams together product 90mW of power. This makes the ML830 the LEAST powerful laser that we sell but they still have lots of people who like the systems. Competing cold lasers can produce up to 50,000mW of power so it is difficult to compare "the original cold laser" to lasers developed in the last decade. We only sell used ML830s with the "Time Laser" branding. These lasers are about 5 years old but they were mostly never used. They have been in storage. The "Time Laser" uses a card to tracks time usage on the laser. You must buy a new card from directly from Microlight. 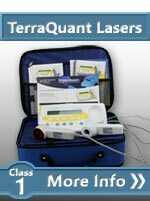 These are a class 3b laser so you must have a doctor's recommendation letter to buy it. We can help you find a doctor that will do a consultation and write the letter at an additional cost. 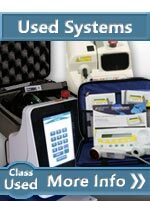 This system is about 1/2 the price of our next lowest cost system so it is a bargain. 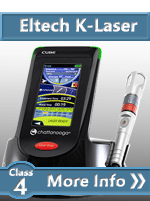 The laser comes with a 3 month warranty. This price is less than half the price of a new ML830. The system comes with glasses, laser warning sign and a user manual. The ML830 was used in several clinical studies including one at GM. General Motors had serious problems with Carpal Tunnel Syndrome among its workers. 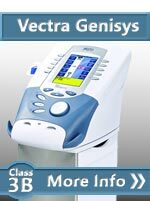 GM conducted a 36-week double-blind study, using the ML830 to see if non-invasive therapy would help. The study was based on 166 afflicted GM workers. Those treated with the ML830 laser showed significant improvement in grip strength and range of motion when compared to other GM workers who were treated with placebo lasers. 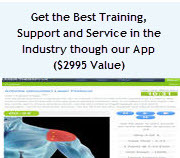 In addition, a prominent medical school in Houston conducted a similar double-blind study on Carpal Tunnel Syndrome in 1998 and that study showed a 70% improvement among those patients in the active group. The primary target market for the ML830 is Corpal Tunnel therapy. This is where Microlight has received their FDA clearance and it is where they have their best clinical work. 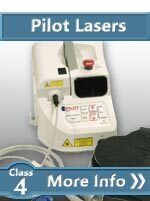 The product can be an excellent choice for those seeking a very low power class 3b laser in the $1,000 to $2,000 range. 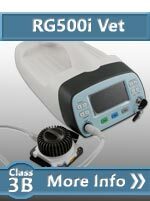 Contact us for more information about the Microlight ML830.